Schwartz & Wade, 9780553507614, 32pp. Like Molly Bang's When Sophie Gets Angry—Really, Really Angry, this book offers families a perfect opportunity to openly discuss emotions and behavior. Meet Betty, a gorilla. She wants to eat a banana, but . . . try as she might, she can’t open it! Poor Betty—she just can't cope, and her frustration quickly becomes a great BIG tantrum. She cries and sniffles, kicks and screams. Luckily, Mr. Toucan is at hand to peel the banana and help Betty calm down. 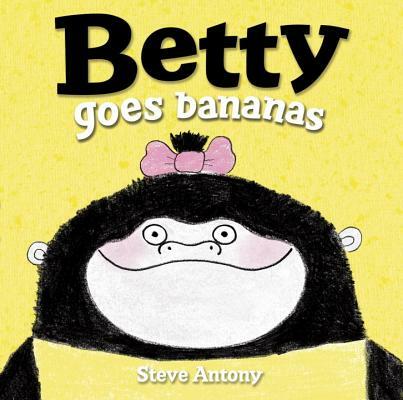 But what will happen when Betty spots another banana? Both preschoolers and parents will laugh out loud at this simple, utterly hilarious picture book about tantrums. STEVE ANTONY received his MA in Children's Book Illustration from Anglia Ruskin University in the UK. This is his U.S. picture book debut. Learn more at steveantony.com.